Lazy lentil lovers rejoice! 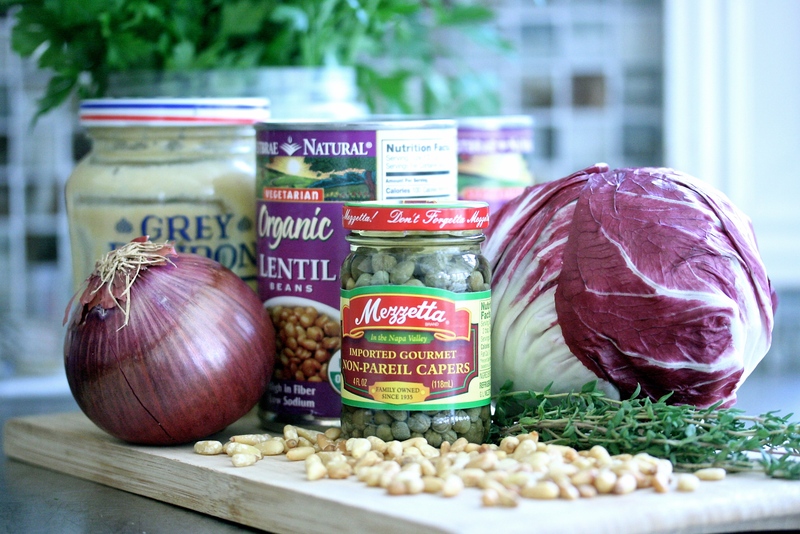 I recently discovered one of the greatest short cuts in the kitchen, canned lentils. Food snobs feel free to ignore this recipe if you’re turning your nose up at the thought of using lentils from a can. I guess it’s not that complicated to simmer dried lentils, but it does take time. Time that you might not have during the week. I have always used dried lentils, but now when I’m in a pinch, I have my arsenal of canned lentils. If you’re making lentil soup or any dish that uses warm lentils, I’d stick with traditional dried lentils. Canned lentils are on the softer side and you obviously don’t have the control you have when cooking them on the stove. 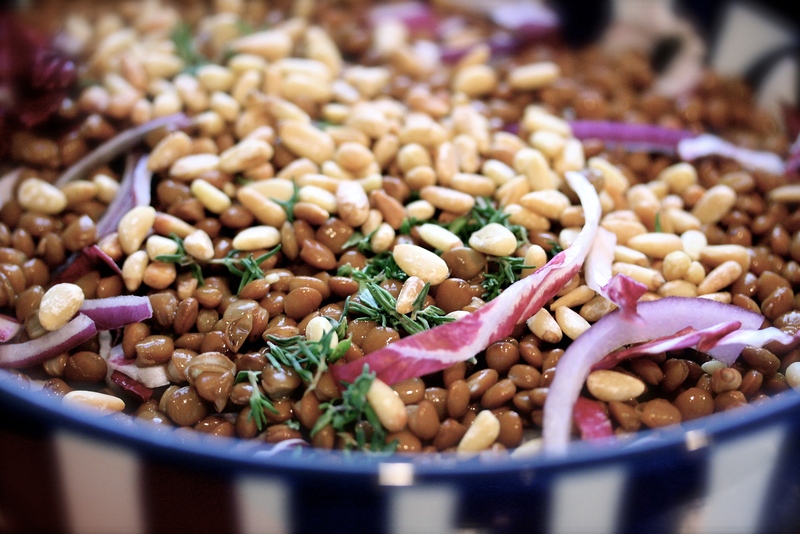 But for cold salads like this one… so good! This salad is not for those who prefer milder flavors. 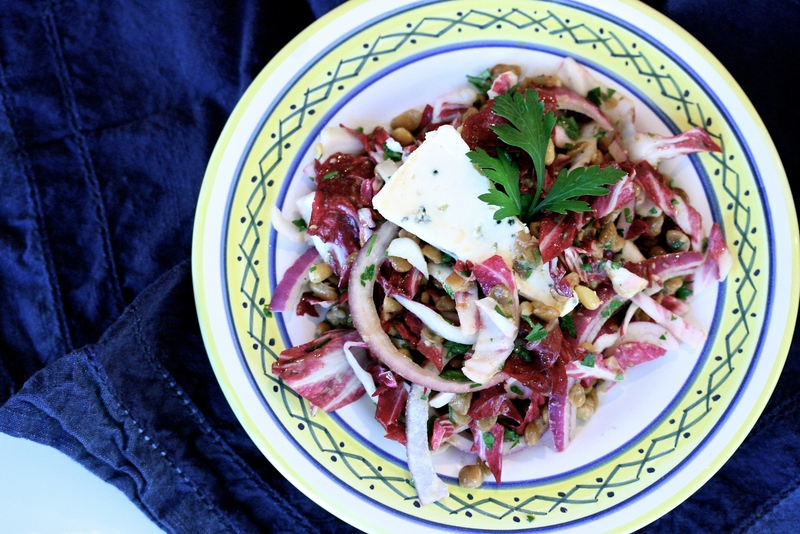 Between the gorgonzola, bitterness of the radicchio and the onions – this salad is full of flavor. 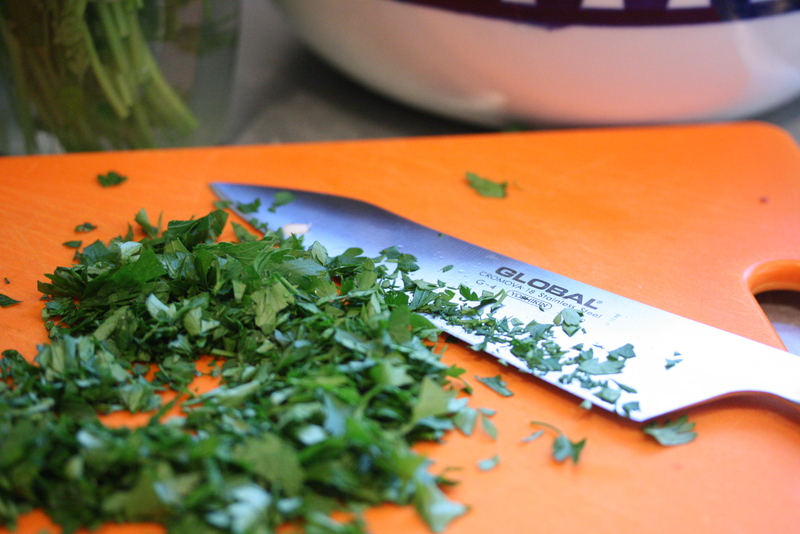 It would go perfectly with grilled meats or fish, or even as a vegetarian main course. I’ve used inexpensive Goya brand lentils, as well as pricier organic brands. I have to say I didn’t find one better than the other. Your grocery store might only carry one option. They are not available in every grocery store where I live. Combine all the salad ingredients in a large bowl. 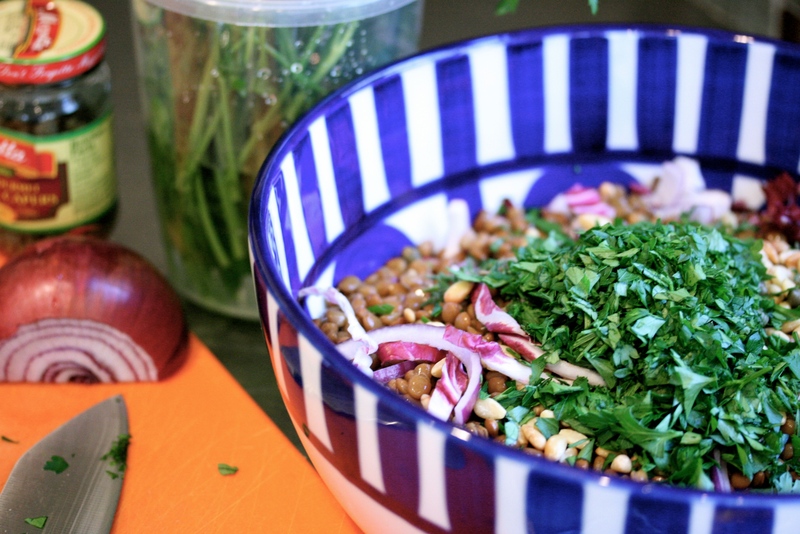 Whisk the dressing ingredients in a separate bowl and pour over the lentils. Toss and serve with a wedge of gorgonzola on top. A hunk of baguette might be a necessity here, too.